Carryway specialises in reliable, high-quality utility vehicles and transport buggies and will be exhibiting at this year’s Showman’s Show. The company proudly support Team BRIT, the motor racing team which aims to inspire people with disabilities, PTSD and mental health issues. Earlier this year it pledged its support to the team by supplying them with a bespoke 4 seat electric Club Car shuttle buggy in Team BRIT colours that will take pride of place on the Carryway stand. Team BRIT consists of injured military service-men and disabled civilian drivers who compete on equal terms with able-bodied competitors utilising world-leading hand control technology. 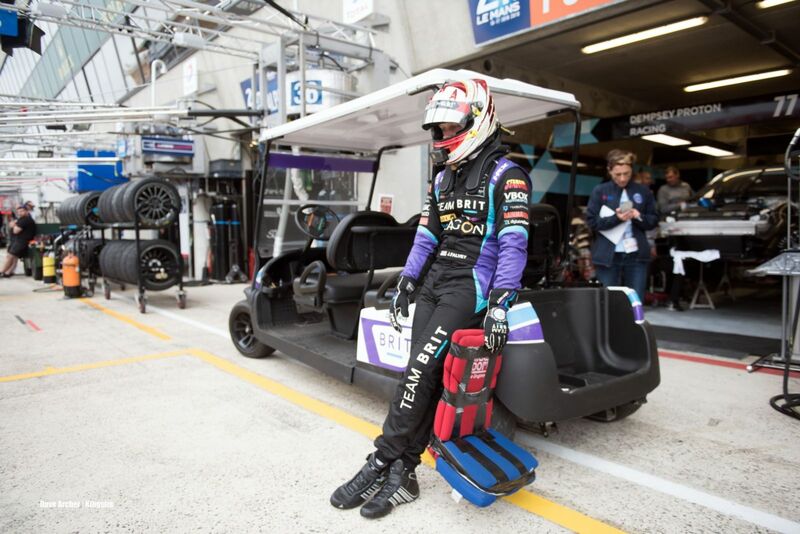 The new e-powered buggy was utilised by Team BRIT at this year’s Le Mans race, transporting drivers and engineers around the pits, towing goods trailers and providing disabled drivers with the ability to participate in pre-race track assets which would usually involve walking the circuit. Carryway delivered the electric buggy to Snetterton race track in Norfolk, on Thursday 7th June as Team BRIT were giving their Aston Martin Vantage GT4 car a final shake down prior to their trip to Le Mans.